This black and white overview of Burnt Islands was taken in 1963. Burnt Islands like many Newfoundland coastal communities developed around the fishery. The sheltered harbour and proximity to rich fishing grounds were the principal factors in attracting early fishermen to this area in 1839-1841. The first recorded settlers settled on what is locally known as the Main in 1839, while families settled the Island part in 1841. The first school was established at Burnt Islands in 1858. Throughout the late 1800's and well into the 1900's the community continued to thrive with many business firms establishing in the area providing goods, services and employment for people in the area. The community supported a lumber and glue industry at one time. In 1968 Eric King opened up a fish processing plant that is still there to this day, employing a large number of the town's residents. Also it was in 1969 that the two main areas of settlement were linked together by a causeway making it the community of Burnt Islands we know today. 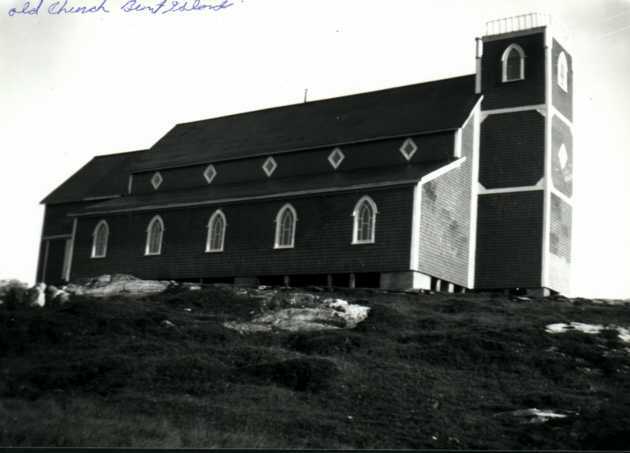 The old Burnt Islands church was first built in 1924 -1925.